Tea comes in different flavors that emit different scents. To give non-tea drinkers and tea drinkers alike a new way to experience and appreciate the beverage, London artisan tea house Camellia’s Tea House decided to create tea you can inhale—instead of sip. 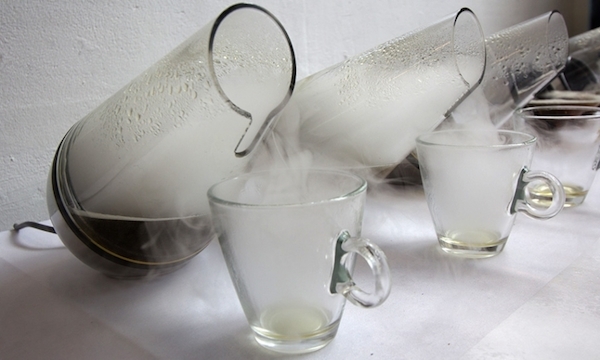 Debuted at the Experimental Food Society Spectacular 2013, the tea house set up a ‘Breathable Tea Room’ that housed cups of vaporized tea in many flavors. 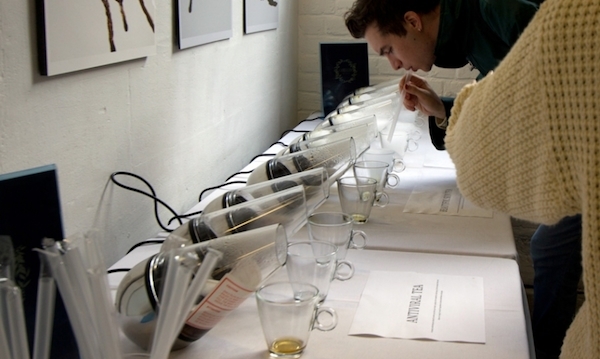 At the unconventional ‘tea party’, visitors could grab a straw and inhale the drink. A nice way to end your meal of breathable food—would this be a new way to drink tea?